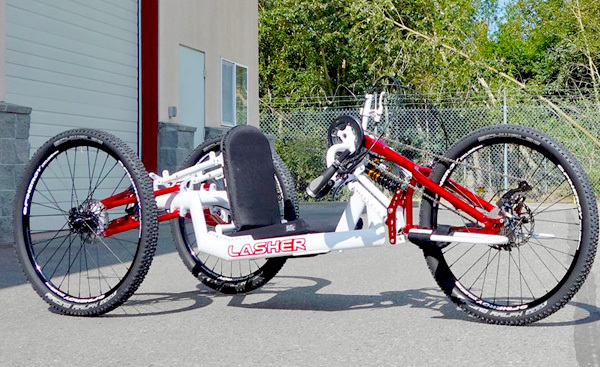 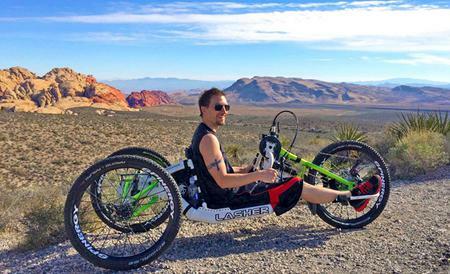 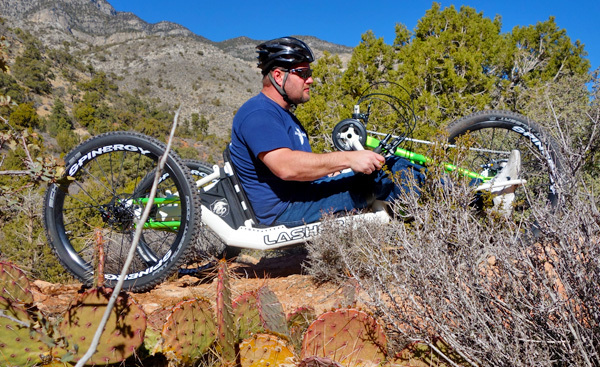 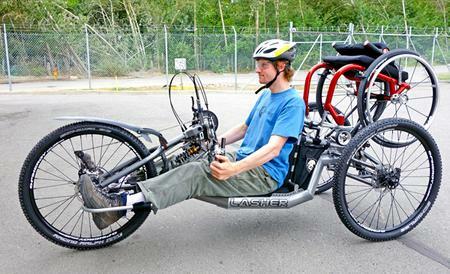 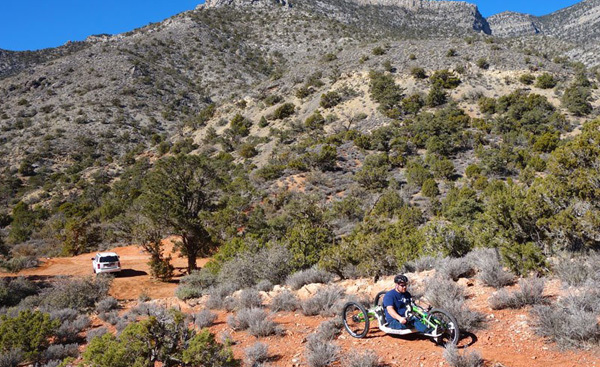 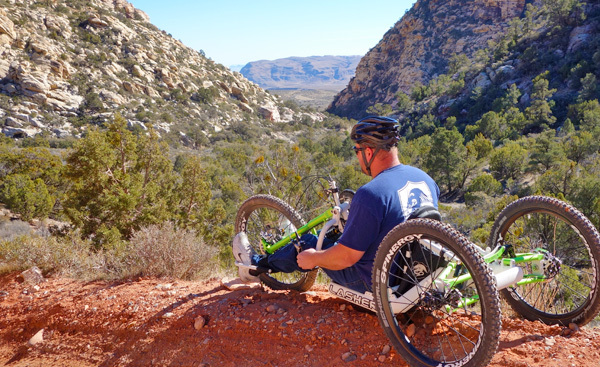 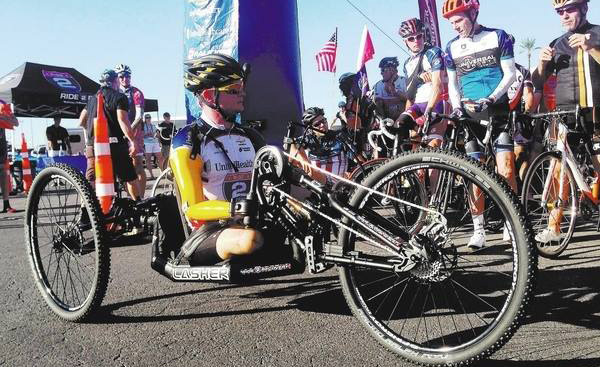 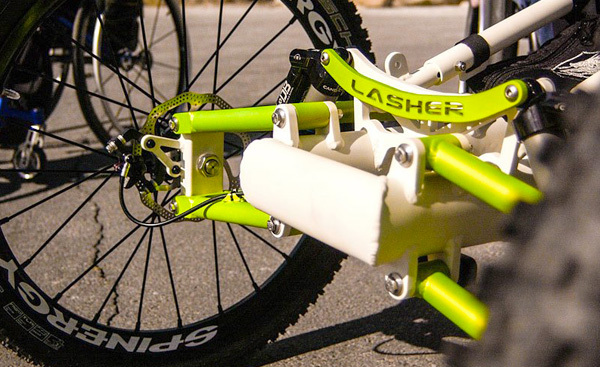 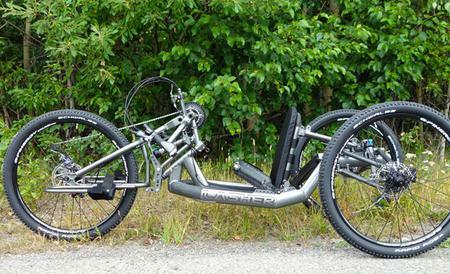 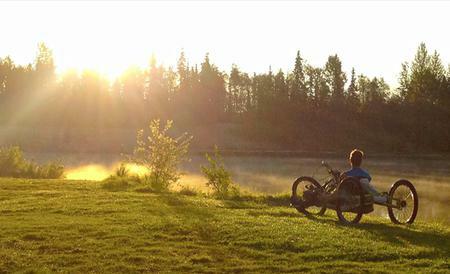 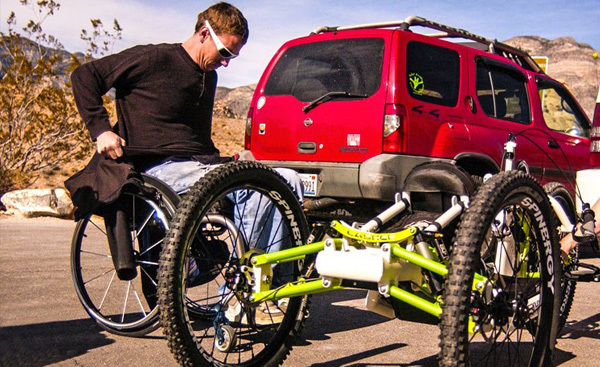 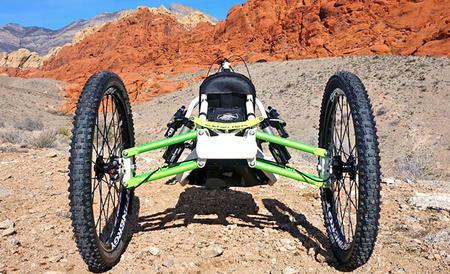 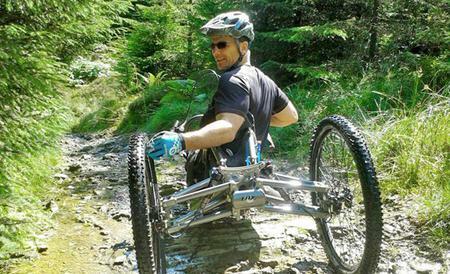 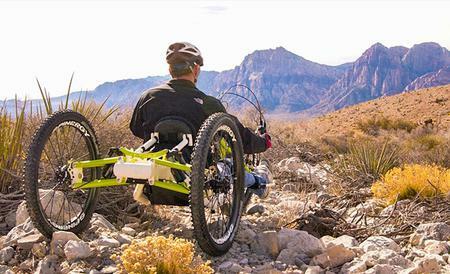 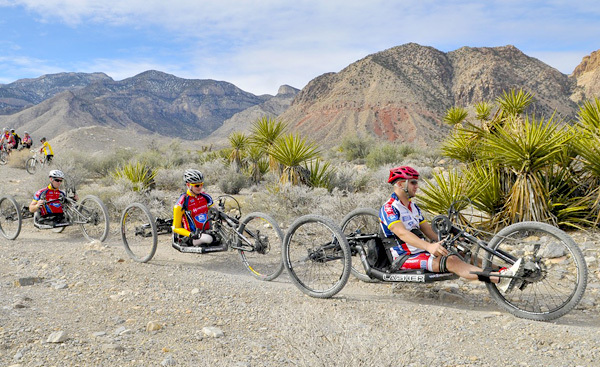 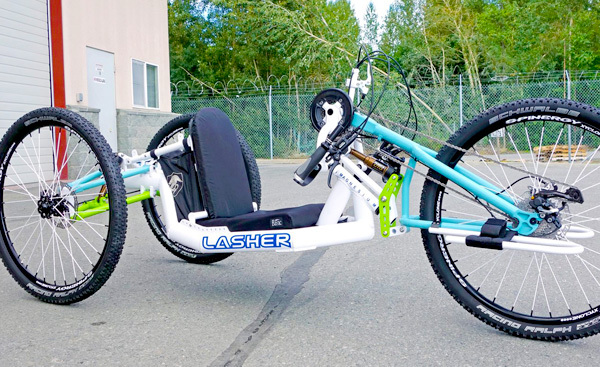 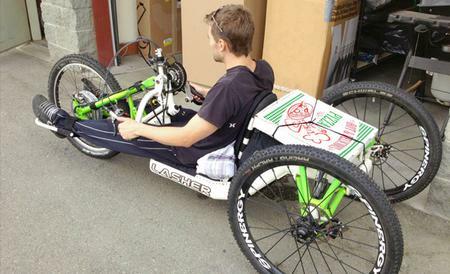 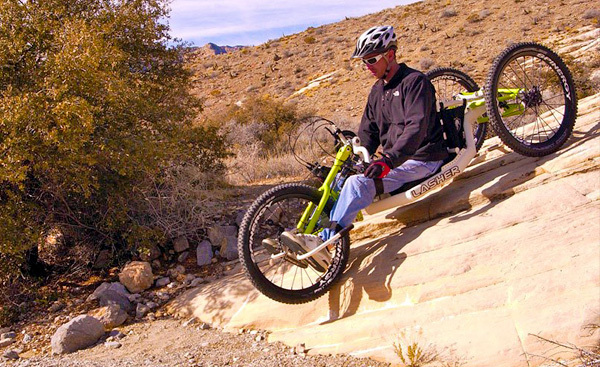 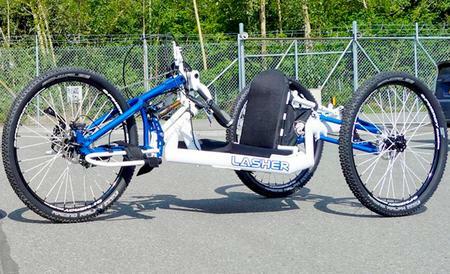 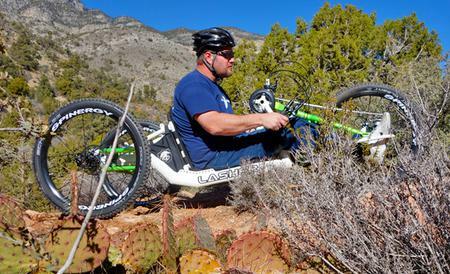 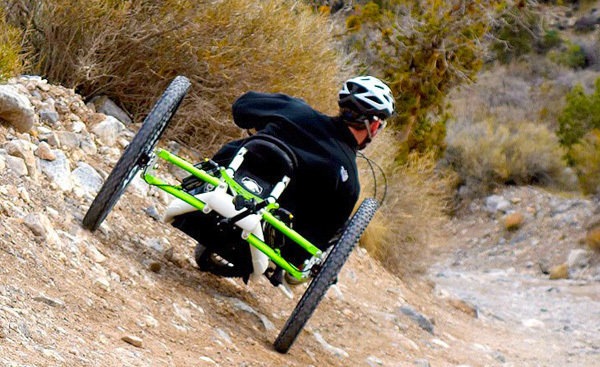 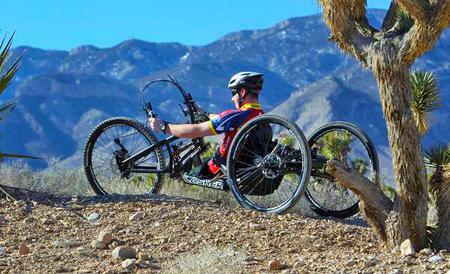 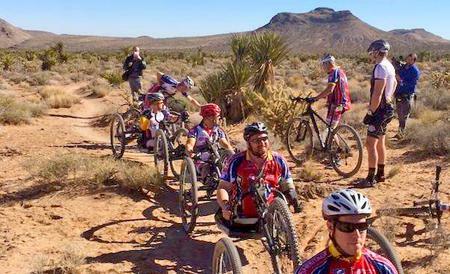 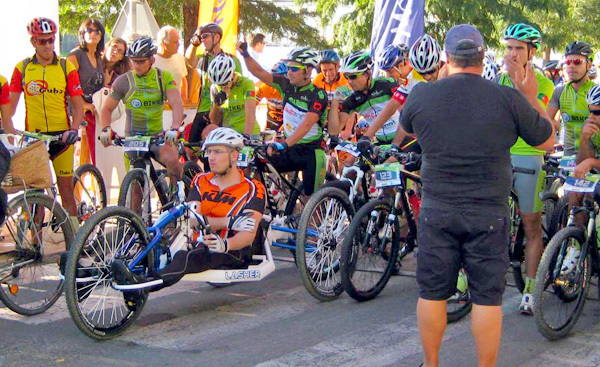 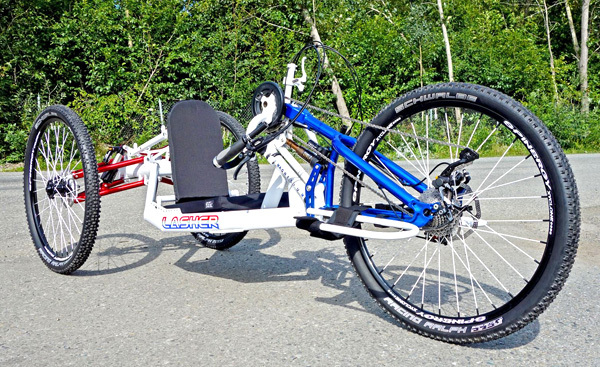 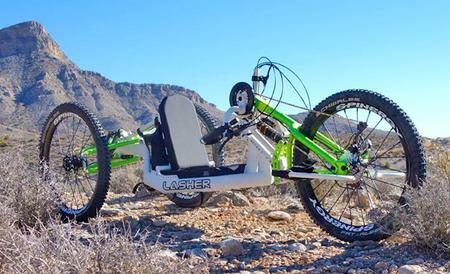 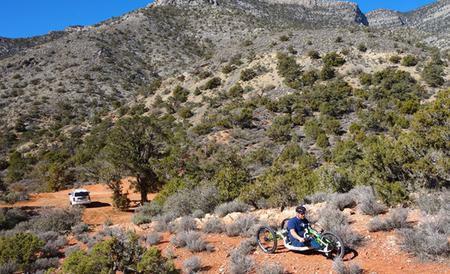 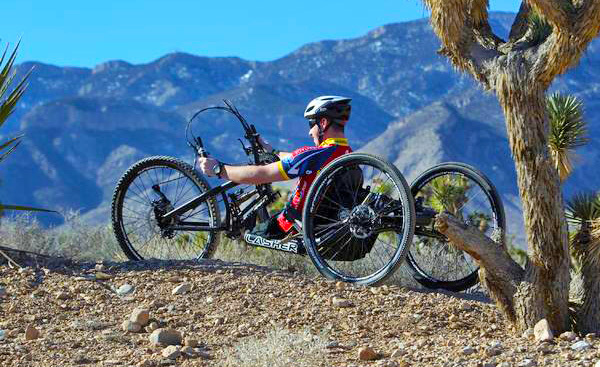 The ATH-FS is a rugged full suspension magnesium frame handcycle with Fox Shox shock absorbers on all three wheels. 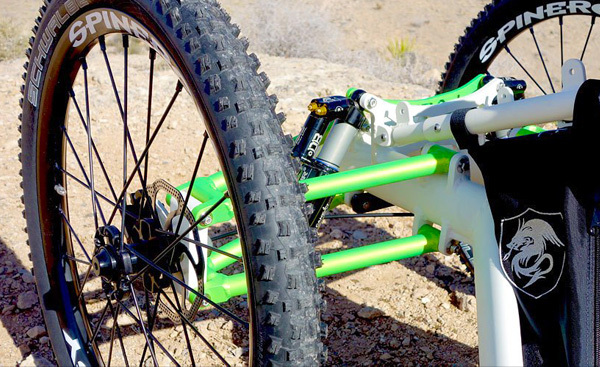 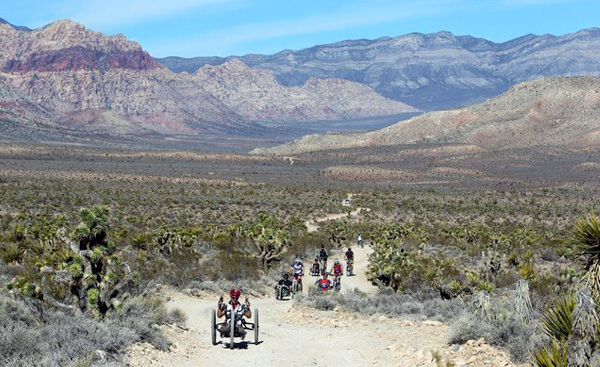 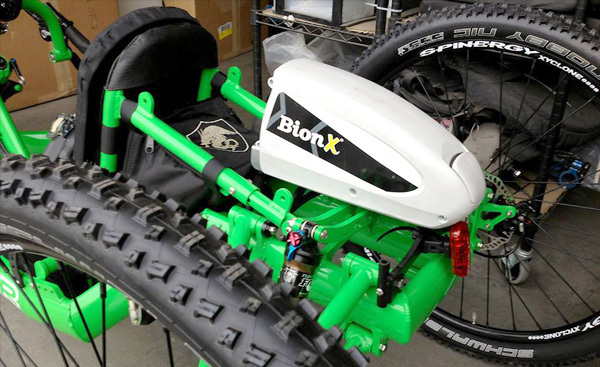 It is specifically designed for off road adventures with a patent pending front fork shock design that provides a smooth ride even in the most demanding terrain. 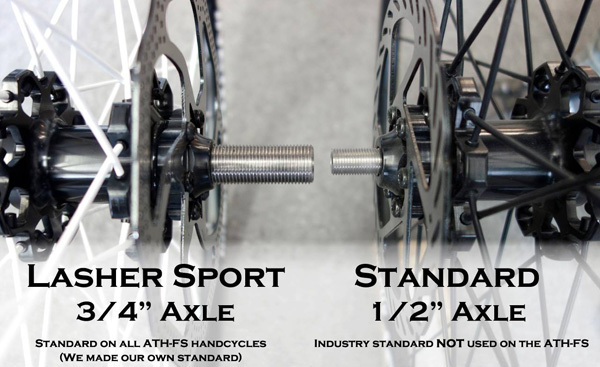 Fully adjustable depth and angle settings allow a high degree of control and adjustment for maximum comfort and all wheel hydraulic disc brakes offer superior stopping power. 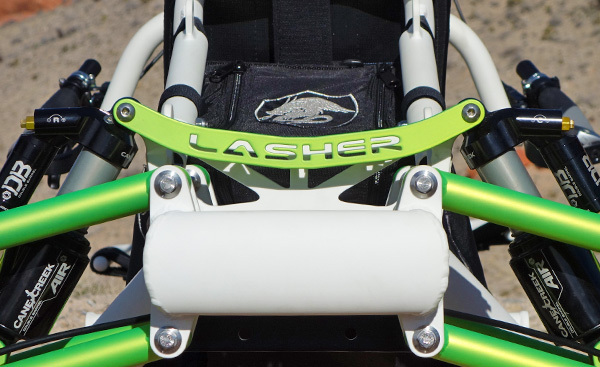 The ATH-FS is fully loaded for back country action and available in three high performance models. 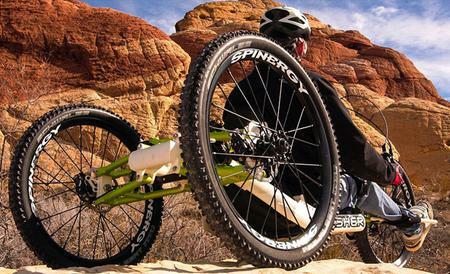 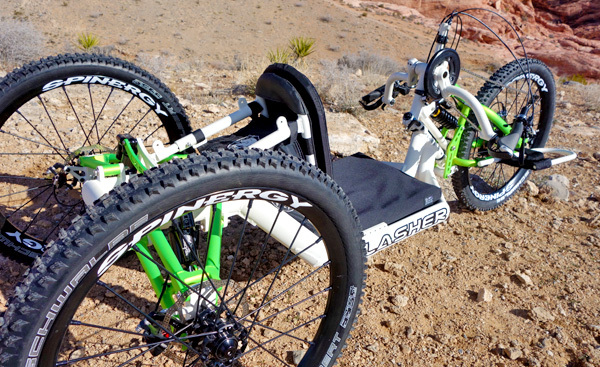 26" Spinergy wheels come standard, but 29er wheel set upgrades can be added to any model. 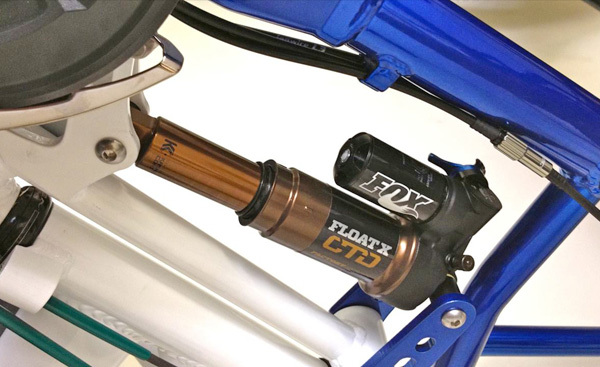 Fox Shox shock absorbers provide superior all wheel suspension and premium Cane Creek DB Air shock upgrades are available for the dedicated off roaders. * Weight depends on configuration. See individual order forms for full component specs.